Looking for volunteers to pawticipate in Caturday Connections! 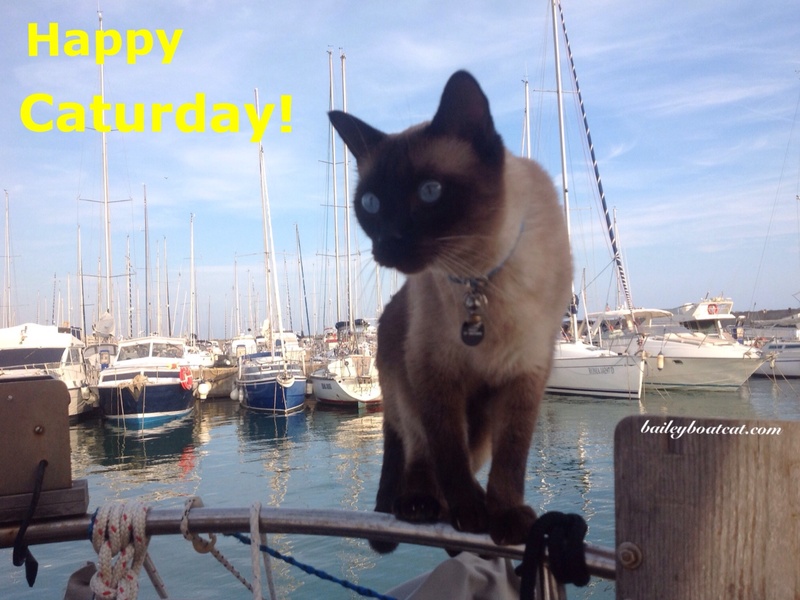 Dear furiends, I’d like to wish you all a very Happy Caturday! I’m looking for some new volunteers to pawticipate in my Caturday Connections weekly slot! You don’t have to be a cat to be welcomed and you can either be an adventurous pet or a real home bird. I’d just like to get to know you and find out what makes you special! If you would like to be interviewed then you can email me at baileyboatcat AT icloud.com or leave me a comment with your contact details here. I hope you’re all having a wonderful day! « Noccy is doing well! Great photo of you. Phoebe will be contacting you. Mee-you Bailey yur lookin mitey fine there! Hi Bailey, I would like to do a Caturday connection sometime, My dad grew up in a shipbuilding family, but he was born with a love of flying and had a career in the Air Force. He says I am his alter-ego and that I have the same interests and skills that he does! Snowflake (Snowy) & Maui are Siamese sister & brother in California. Everyday is a new adventure. They would love to be interviewed! It might be fun to do your Caturday connection. We would need a little advance notice tho cuz my human can’t sit in front of the puter screen typing for me for very long. She has to take frequent breaks. I think it would be fun to be interviewed for one of your Caturday Connections! And my pawrents might just be able to talk my little sister, Gypsy, into it, too, if you need an extra! If I could pin my human down to help with my schedule, I’d like to do it! You can contact Angelo at carolineholt64@gmail.com he hopes to hear from you. Bisous Bailey , we just flew down to. NZ as our human mum moved jobs. I met my first dinghy devil recently and I’m very concerned they live in our garden !